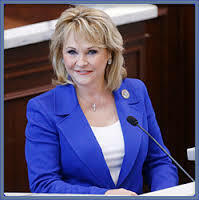 Oklahoma Governor Mary Fallin has signed SB 14, the bill authorizing placement of a privately-funded monument of the Bill of Rights on the grounds of the Oklahoma Capitol. The legislation was modeled after MyBillofRights.org’s Arizona and Texas authorizations, and was co-sponsored by Senators Anderson (R-Enid) and Sparks (D-Norman) in the Senate and Majority Whip Gary Banz (R-District 101) in the House. MyBillofRights.org wishes to thank our sponsors, their colleagues in the Legislature and the Governor for their support in bringing the Bill of Rights to the Oklahoma Capitol!